“Japanese guys are really OK with Black girls?" “I’m not skinny, I’m not docile. Isn't is bad for Japanese guys?" “I want a Japanese boyfriend. Nobita, can you introduce me?" I get these kind of questions so often. I’m glad a lot of women are interested in Japanese men. I think maybe this trend is quite recent. 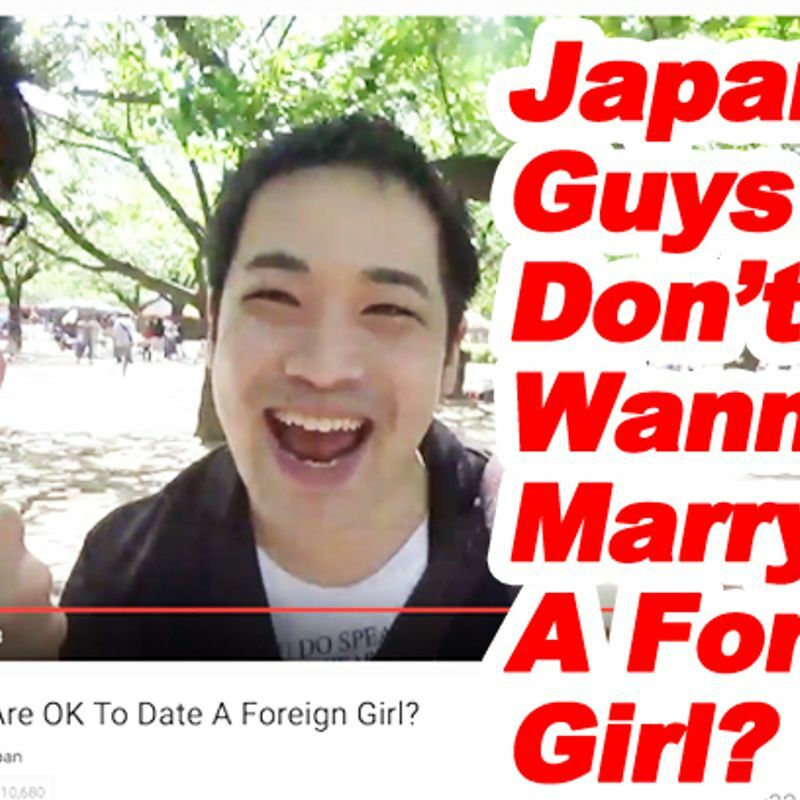 Nowadays, there are a lot of YouTube channels who are run by international couples, in most cases, a Japanese man and a non-Japanese woman couple. Again, as a Japanese guy myself, I’m really happy to see Japanese men are getting high demand more and more nowadays. My big question is, Japanese men are really OK to date foreign women? If the guy used to live in a foreign country or speaks English so well, I’m sure he would be very interested in. But in reality, most Japanese people actually don’t. I guess probably more than 80% of people in Japan have never lived outside in Japan before and don’t speak English well. ■Why Some Japanese Men Don’t Want To Get Married To Non-Japanese? In the above video, some of them said, “Just dating is OK, but not marriage." I wasn’t surprised about this. Actually I often get this kind of answer. International marriage is quite big deal for some Japanese guys. That’s not just because of language barrier or culture difference. In my opinion, the big reason is job. When I ask Japanese people, “Let’s say you got married to an American. Which country would you like to live?" Roughly 60% Japanese girls say, “Which one is OK for me” or “Partner’s country would be better”. But, most Japanese guys say, “Definitely Japan!" I think that’s because most Japanese men are higher consciousness in terms of job. Job is definitely big part of their lives. Even though more women work outside nowadays, gender roles in Japan still remain to some extent. As a man, they think they definitely need a great job to be proud of their family, friends and themselves. Otherwise, they would be ashamed. Having a job they want is necessary for them to keep their ego up. Moving to another country usually makes your job opportunities decrease. Some countries don’t let spouses of nationals hold a job; even if you have working visa, finding a job is difficult. Japanese men know about that. And they know that if they get married to a woman who is different country, chances are she insists to live in her own country. I think, on the other hand, the reason many Japanese women are willing to leave Japan is that some of them are totally OK to be a housewife and don’t really care about their jobs so much. Family comes first to them as a first priority rather than their jobs. In Tokyo, I often see a couple which a Japanese woman and a non-Japanese man couple. But the opposite case is much less. In addition that many foreign women are not interested in Japanese men, I think it is one of the reasons. A lot of viewers of my channel tell me that western women are more dominant, bossy and assertive. I know that’s not necessarily true, it’s kinda typical stereotype, right? But some viewers asked me to interview about that to Japanese men, I asked them how they feel about strong women. Based on the interview including off camera, it turned out some of them are totally OK, but some of them are definitely not. Obviously it depends on the guy. But I would say roughly 70% men are not really comfortable. Especially old guys have the tendency. I think simply because they’re not get used to strong women. Maybe in their minds, “Women are supposed to be submissive, docile, and quite” ,even though more Japanese women nowadays are less submissive. You may be thinking, “So, I’m unacceptable, because I’m not docile like Japanese girls?”. In the end, who does give a s**t? Preference is totally different depending on the person. You can’t say that like, “Japanese guys always prefer a skinny girl, not chubby!” “They’re not interested in black!" There are still plenty of guys who really like you and want to date no matter what you look like, no matter where you’re from. I hope you don’t give a f**k. Remember, you can definitely find your love in Japan just as you are! Very good article. I also think, job is the main reason Japanese men don't usually marry foreign girls. Thank you Nobita, fun topic. 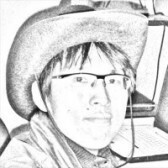 My Japanese fiance prefers to live in America (US), so I was surprised to see that almost all Japanese guys would want to stay in Japan if they married an American. (He lived and worked in America for a while so he's fine with both countries.) What you said makes sense - especially about men feeling like they need a good job for their ego. In America, I think there's less pressure from society to have job than in Japan. It's a little more common to be self employed, work part time, or retire early, etc. To be able to work in the other country, I think changing to a Spouse of National visa is fairly simple in Japan compared with in the US. There we need to apply for the green card and ability to work, which is a more complicated process, including interviews.